The Cook Table from Eureka! features a large, zippered, storage cabinet that's removable, making it perfect for transporting cookware, dishes, and food. The convenient 32 inch height of this table makes meal prep easy! The Cook Table from Eureka! features a large, zippered, storage cabinet that&apos;s removable, making it perfect for transporting cookware, dishes, and food. 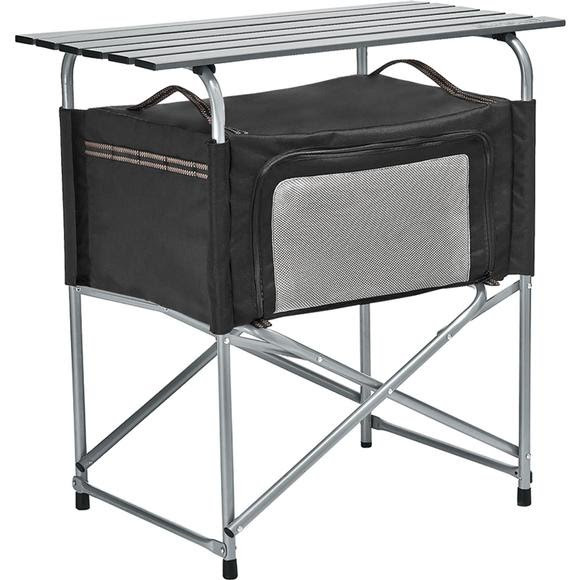 The convenient 32 inch height of this table makes meal prep easy! Measurements 23.5" x 18.25" x 31"; Folded: 31" x 19" x 4"